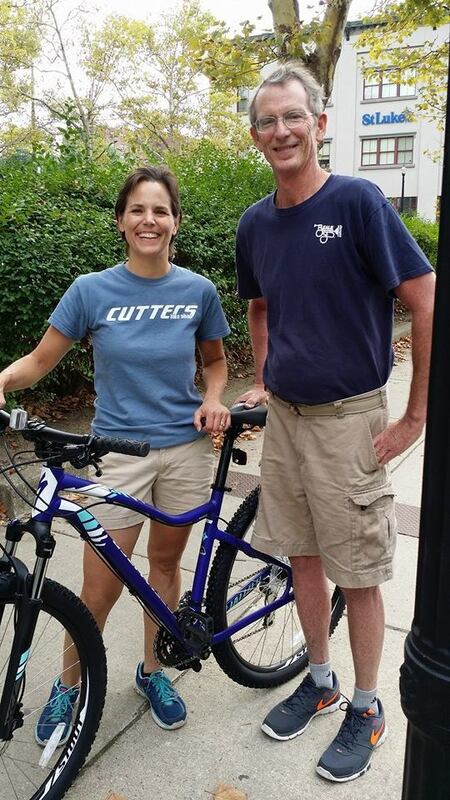 Pictured right is Bob, my new bike, and "Mrs. Cutter" from Cutter's Bike Shop (actually Lisa). There is a story behind this bike I'll share later. After being fairly clear since April, Bob's skin is in flaring up again. We are both feeling a little defeated -- he goes on a drug that seems to work, and in four to five months it stops working and we're back to the full body redness, itch, and "dots." 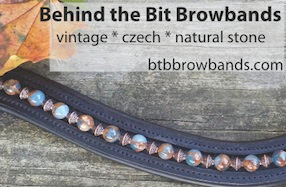 We have appointments about every three months and there is a month to go before the next visit in Philly. There are advantages to going to "centers of excellence" for your particular disease, but easy access to your physician is not one of them. We communicate via a portal and it is hard to convey your concerns that way. Local doctors? Humpf. Local doctors may or may not have even seen this disease before. Dermatologists, who theoretically should know the most, defer to our Philly doctor. Doctors in OTHER specialities -- the least qualified -- seem to feel compelled to weigh in. Bob's ENT said that he would be looking at a bone marrow transplant -- something no one had ever told us -- and a knee specialist seemed quite alarmed at his skin. He refused to do surgery due to his CTCL, even though the online forums I follow discuss other CTCL patients having knee, back, and other surgeries. Bob went to the GP for a minor issue unrelated to CTCL -- the physician's assistant took one look at him and called in a doctor, who called in more doctors. Said Bob, "Five people are crammed in the office to stare at me, and I'm sitting there wearing the equivalent of a paper towel." I think all of this has scared us a bit. We contacted our CTCL doctor in Philly to see about getting a second opinion, and she was more than encouraging. "Get four or five" was her answer. Wishing you both well. I can only imagine how frustrating this must be. I guess the trouble with more rare diseases is trying to find the people who really do know what they are talking about. Here's hoping you have some good luck this round. Nice bike but have seen the crank forward technology? It puts you in neutral spine (like riding posture) and really helps develop the core muscles for the balance we need in dressage. I have a Townie Electra and I love it, 4 miles a day rain or shine!